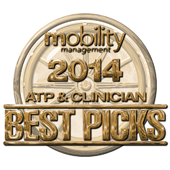 Matrix Easy Fit was nominated as a 2014 Best Pick for complex seating and positioning by Jamie Loper, ATP. 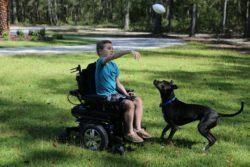 “We are very happy with Dale’s custom Matrix wheelchair because we know it will help keep him comfortable.” Lelia Ginder, Gainesville, FL. “Tony loves sitting in his new Matrix Seating system! It fits him like a glove. He is well-supported and comfortable. We took him to a Valentine’s Day dance and he smiled the entire time.” Brittaine Munn, Houston, TX. 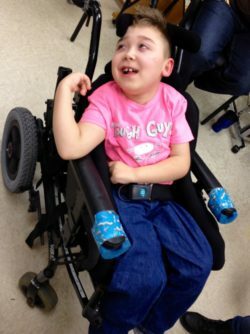 “On Thanksgiving day, Greyson was able to sit for 2 1/2 hours. This is the longest period time he has been able to sit comfortably without concerns about skin breakdown. This is also the first time in 2 years that he has enjoyed eating his favorite foods; sweet potato and chocolate pie. Greyson loves his Matrix chair. It’s comfortable, breathable and cool looking!” Sabrina Kimball, Tallahassee, FL. “Matt (27-years-old) has never been seated properly. 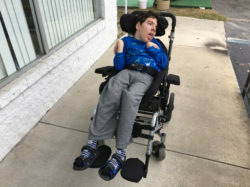 Thank you Great American Mobility for enabling my son to be supported and comfortable with his Matrix Seating system” Doris Humble, Houston, TX. To become an approved vendor of Matrix products, download a Matrix Seating USA Vendor Application to set up an account and get your pricing. Print, sign, fax or email completed forms to: Info@matrixseatingusa.com | 800-986-9319.